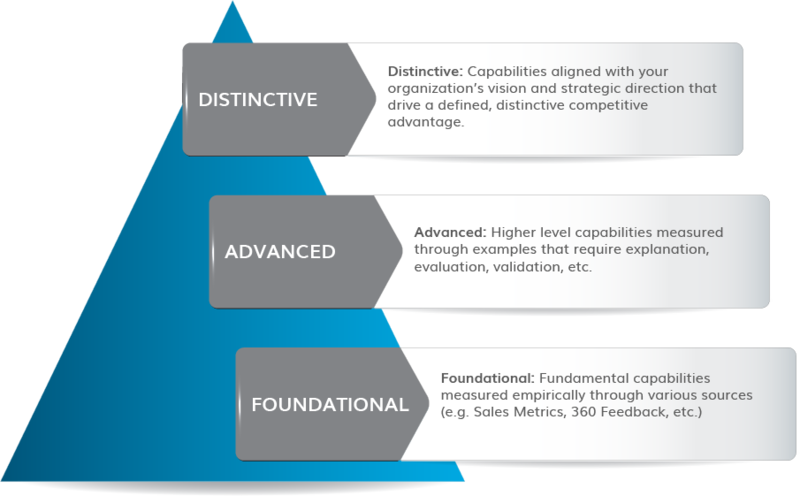 Our work with suppliers and distributors on sales, marketing and analytics capabilities typically spans multiple years, and involves a robust measurement and evaluation process that ensures organizations progress along a continuum from Foundational to Distinctive capabilities. Capability areas include: Analytics & Insights, Marketing & Activation, National & Chain Account Execution, Human Capital Management, In-Market Execution, Pricing & Margin Management, Innovation Management, and Distributor Relationship Management. Capabilities are reviewed annually, and built by subject matter experts and corporate stakeholders to align with key strategies. 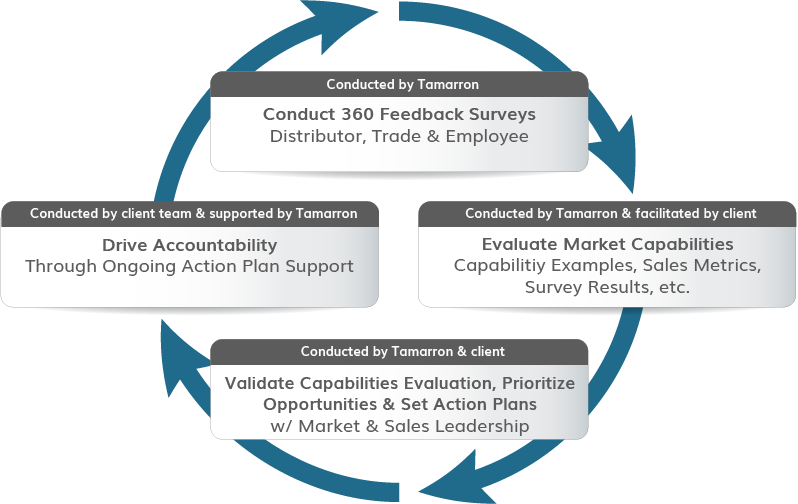 Tamarron has developed proprietary models to measure an organization’s proficiency against capabilities. Scorecards are calibrated to ensure a minimum level of Foundational, Advanced and Distinctive capabilities are met each year by achieving targeted action plans developed through the engagement process.